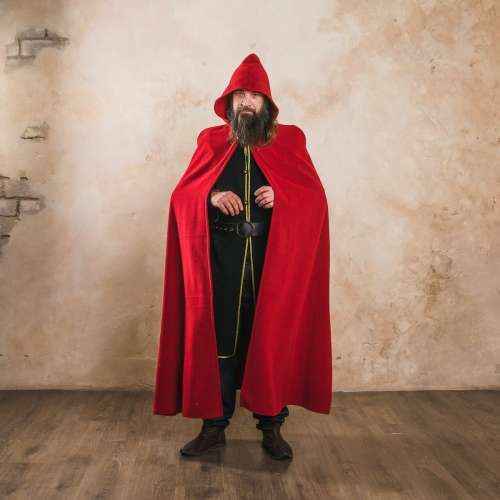 Long hooded medieval cloak, a historically correct model. 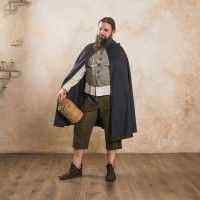 Made of wool, with a button under chin for fastening. 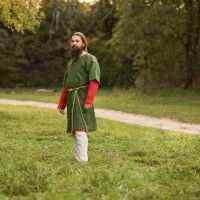 A beautiful garment for your medieval or fantasy costume.